Insurance Agency SEO Done For You! We work to improve the visibility of your website in search engines via the natural or un-paid (organic or algorithmic) search results. In general, the higher and more frequently a site appears in the search results list, the more visitors it will receive from the search engine’s users. Our insurance agent SEO (search engine optimization) programs are effective and cost conscious. Current data suggests that over 95% of search engine users do not go past page one of the search results when completing their search. They choose a business that is displayed on page one. When billions of searches are completed each month, it is critical that your business be on page one of the search results. We take every step possible to ensure you get placement on page one and then stay there. Our client’s success has been tremendous. Process: When we begin working on your website, we’ll run some initial ranking reports looking at some of the more obvious things that can quickly impact your rankings like algorithm penalties, indexing issues, site links, layout and content. We’ll check out all the on-page page optimization tags such as your usage of H1, H2, meta descriptions, title tags and ALT tags. This review process highlights some things that may be going well that we may want to leave alone, while highlighting things we will need to address. Content: Content is still king. It is a silly saying, but it really is true. Take this example: If you have a website with lots of great content, a blog that regularly updates and some great optimization and another site with stale content, thin content and poor optimization, what do you think is going to show up first in the search engines? When working on your insurance agency SEO it is important to focus on writing great content, especially niche content right now is so key to competing with other agents in your area. If you want to read more about niche content visit that page. Nobody knows the search engines algorithms, so running reports and tracking results is a great way to do this. You can access your own reporting through companies like MOZ, SEMrush or countless others. What Impacts Results: Competition is the biggest hurdle for insurance agents. There are so many fighting for placement in the search engines. 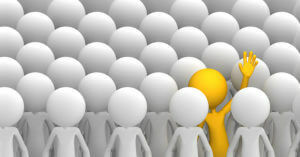 Insurance in general is the single most competitive term online, so standing out in the pack can be a challenge. What You Can Do to Help: Online reviews are marketing gold right now, but people are reluctant to just leave reviews. If you have great customer service, you should feel good about asking someone to leave you a review. While paying for reviews is frowned upon you can be more creative about it and thank them for their review in a newsletter or on social media. Local search is when a consumer uses the search engine to find services within a specific area or geographic location such as: “Car Insurance, Seattle, WA.” This tells the search engine to return local results first. One of our most successful processes is to optimize your insurance agency for local search. Because of the competitive nature of the industry, we tell agents to focus on being hyper local: Target where their brick and mortar location is located and don’t try to get greedy. For instance, trying to target surrounding cities can dilute your local results. Focus on being the best agent in your city and you can do great. 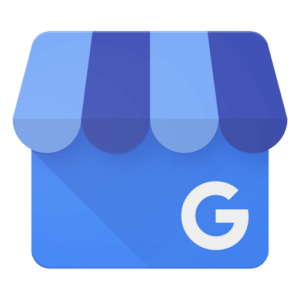 Google My Business is a critically important part of your off-page local SEO. SEO may target different kinds of search, including: local search, news search, industry specific and traditional vertical search engines. We work all means of optimizing your web results including social media and more!